The goal of the OpenStack community is to make available the resources, knowledge and tools required to operate and improve upon cloud-computing technology. So it doesn’t come as a surprise that with the growing attention placed on containers, OpenStack developed Magnum. Magnum is an application programming interface service that aims to make container orchestration engines like Kubernetes accessible as first-class resources within OpenStack. Since 2015, this project has been contributed to by a group of over 40 engineers from around 18 different open-source affiliations. 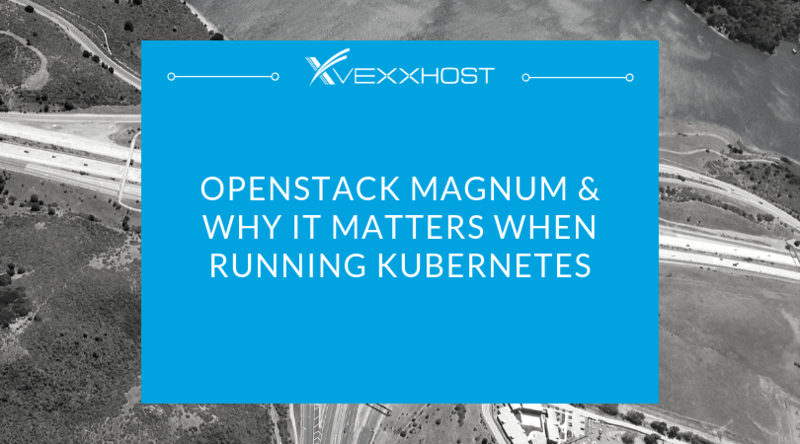 Magnum not only eases the actual integration with OpenStack but makes it possible for users to access and benefit from an environment that provides additional, supplemental features. For example, through Neutron, Magnum enables you to clone similar network environments and with Keystone, you are able to create different clusters across various projects. When selecting Magnum as your container management system, you’re giving yourself the power of choice. One of the first options you have is between Container Orchestration Engines. With Magnum, you’re eligible for new Container Orchestration Engines as they become available, ensuring you’re never locked into a single technology. This concept also extends itself to the type of instances selected for the running of these containers, whether it be virtual machines or bare metal. The level of efficiency that is brought into the Kubernetes deployment with Magnum is the difference between hours and minutes. Another benefit is that the complete configuration can be tackled automatically in addition to the scaling of clusters. The deployment process is also a shared aspect of Magnum that ups the level of efficiency as it remains the same for each application. Magnum encourages portability when it comes deploying across different environments as well. Through the container aspect, the content being moved is simplified and reduced into a much more manageable solution. Organizations with extensive amounts of various applications stand to benefit the most from such an improvement. One of the first things that can be noted about the Magnum project stems from the fact that it is developed and maintained within the open-source community. By involving different people from different companies and not having a sole “owner” it becomes less of a risk to select Magnum as the primary component for a container strategy. Another aspect of the security put in place by Magnum is that it delivers controlled access and visibility for each tenant. What this means is that each tenant’s access is restricted to the resources they themselves create. This is wholly different from the previous systems that enabled anyone on said system, regardless of resource ownership, to access and view everything. Additionally, Magnum ensures that each layer within the system is isolated, resulting in there being no difference between the isolation associated with VMs with multiple tenants and that of a public cloud container offering. As the application of containers continues to expand, so will the need for improved container management systems. By going the open-source route with Magnum, you’re not only opting for an effective, efficient and secure system but helping to future-proof your cloud strategy.